Celebrate family gatherings with this extra-special, mighty selection of low sugar food and drink. A heady mix of indulgent treats and delicious comfort foods, it has something for everyone. 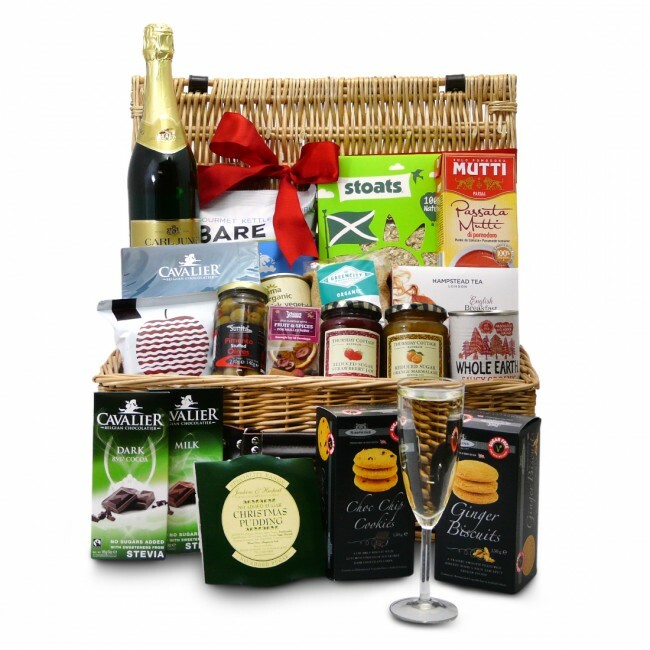 Hand-packed in an elegant, extra large wicker hamper and decorated with a hand-tied ribbon, it can be delivered to a door of your choosing with a personalised card. All food and drink in the Mighty Hamper are carefully packed by hand in an elegant wicker hamper. Remember to tell us what you’d like written on the personalised gift card included inside.